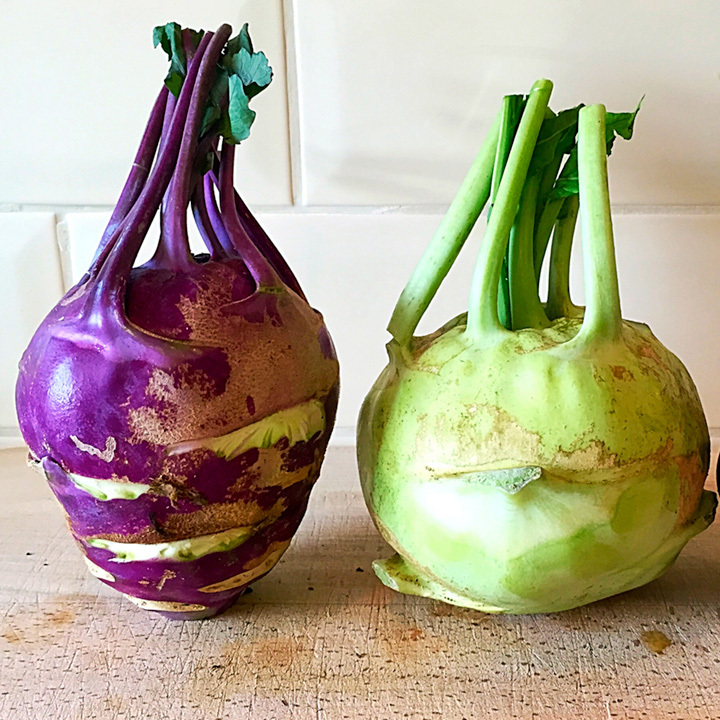 Brighten up your cooking with a duo of white and purple varieties. Both are high-yielding and delicious tasting! Maturing time from sowing approximately 10-12 weeks. Sow April-July in drills 38cm (15") apart thinning out to 10cm (4") apart. Best eaten at 'golf ball' size. Harvest June-September. 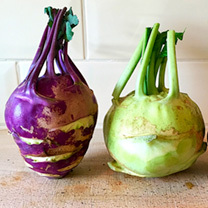 In flavour, midway between cabbage and turnip, the edible portion is the swollen stem just above soil-level. HEALTH BENEFITS: High in vitamin C - Anti-ageing, wound healing, decreasing blood cholesterol and prevention of infections. Assists the body in absorbing iron. Potassium - Regulates heart rhythm, nerve impulses and muscle function - and fibre. 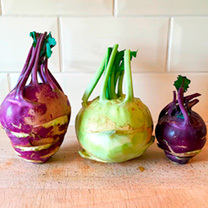 COOKING HINTS: Grate for use in salads or boil cut up 'roots' for use in soups and stews.